HOUSTON – (Oct. 25, 2018) – The earthquakes are so small and deep that someone standing in Seattle would never feel them. In fact, until the early 2000s, nobody knew they happened at all. Now, scientists at Rice University have unearthed details about the structure of Earth where these tiny tremors occur. Rice postdoctoral researcher and seismologist Jonathan Delph and Earth scientists Fenglin Niu and Alan Levander make a case for the incursion of fluid related to slippage deep inside the Cascadia margin off the Pacific Northwest’s coast. Rice University scientists studied how the density of microseismicity, or small tremors, related to the seismic structure of the Pacific Northwest in the United States. 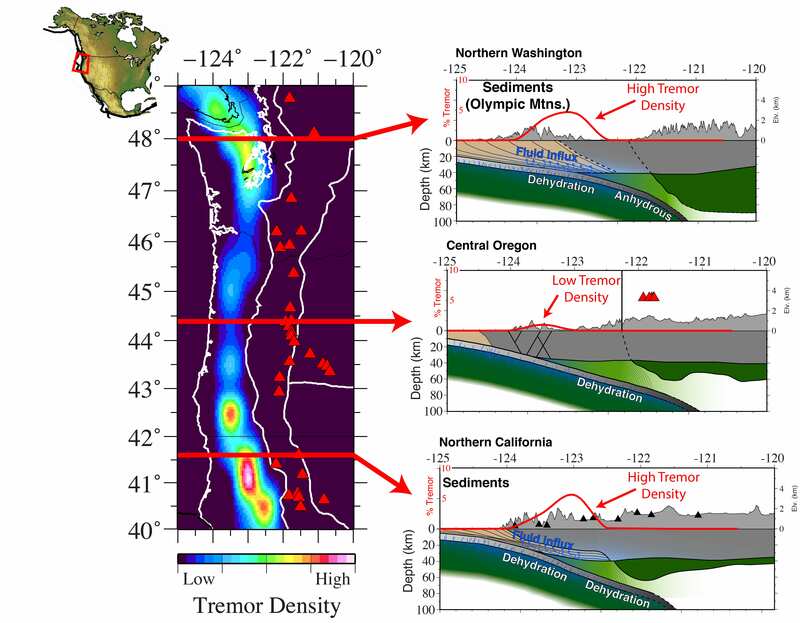 Red lines in the graphic at left correspond to cross-sections from northern Washington (top), central Oregon (middle), and northern California (bottom). The researchers determined a strong correlation exists between tremor density and underthrusting sediments (brown material in the graphics on right). Fluids that are released from the downgoing slab are concentrated in these sediments and lead to very slow seismic velocities in the region. Illustration by Jonathan Delph. 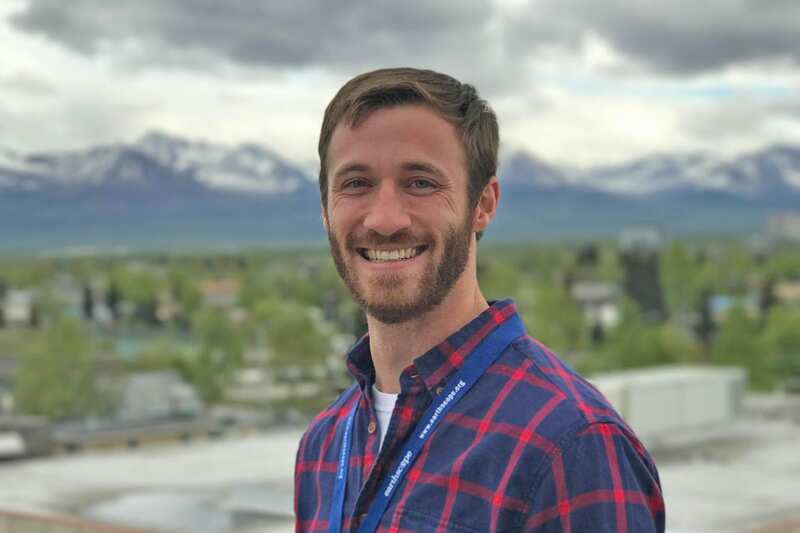 Rice University postdoctoral researcher Jonathan Delph led a study that found evidence of water escaping during subduction and infiltrating sedimentary material related to small tremors that occur beneath the Pacific Northwest of the United States. Delph’s research is based on extensive seismic records gathered over decades and housed at the National Science Foundation-backed IRIS seismic data repository, an institutional collaboration to make seismic data available to the public. “We didn’t know these tremors existed until the early 2000s, when they were correlated with small changes in the direction of GPS stations at the surface,” he said. “They’re extremely difficult to spot. Basically, they don’t look like earthquakes. They look like periods of higher noise on seismometers. He said the phenomenon isn’t present in all subduction zones. “This process is pretty constrained to what we call ‘hot subduction zones,’ where the subducting plate is relatively young and therefore warm,” Delph said. “This allows for minerals that carry water to dehydrate at shallower depths. Read the abstract at https://agupubs.onlinelibrary.wiley.com/doi/10.1029/2018GL079518.